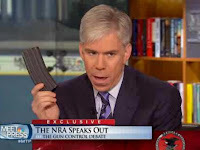 Recently, David Gregory brandished a 30-round magazine on his Sunday TV show as a prop. He knowingly violated a local law that prohibits those clips existing in the district, presumably because he knew he wasn't a real danger to anyone (as opposed to registered gun owners). They were still talking about it today on the Sunday shows, and I found it amusing that the TV people seemed to think the issue was absurd. Alas, life is often absurd, especially when tragic. While it's true that this celebrity was not endangering anyone, to presume that makes a difference highlights the power of laws that often don't make much sense for particular cases. Little laws that entrap those who don't fall under the spirit of the legislation happens all the time. I was pulled into costly litigation that started out by arguing to the court that anything I did related to volatility, cash flow, and mean-variance optimization was verboten via a confidentiality agreement. This was preposterous, but to the court they were tenable accusations, and so started an unconstrained discovery process that was sure to find something (why privacy is important even if you aren't a criminal or prude: give enough data to a motivated adversary and they will find you guilty of something). Every law, no matter how stupid when applied to something like Gregory's transgression, is based on a principle that can be bandied about, and equality before the law is one such principle. For example in my litigation the judge asked my adversary at various points "what is it you want?" referring to a specific strategy, concept, or algorithm that they might feel is their property. All they had to say was, "We want to protect our intellectual property!" and the judge let it go at that. If you want to use the law to hammer someone, the fact that there's nothing important in the specific application is irrelevant because you can always fall back on some high-minded principle, and you probably won't be challenged on it. So, the letter of the law matters quite a bit because most people aren't rich or famous. There are so many laws regulating your average business that at any time one is probably being broken. 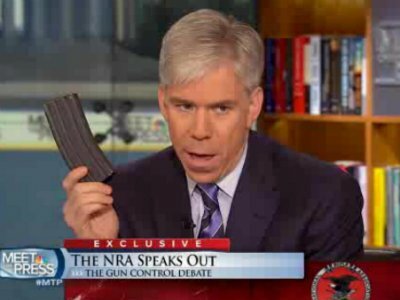 This puts everyone at the mercy of their regulator's goodwill, because like David Gregory you will probably get off if the right people are on your side. If they are indifferent you are at the mercy of the mob, government, or wealthy antagonist. I'm sure a large complex financial organization like Citigroup is violating some laws all the time given 260k employees operating across the globe working in a highly regulated environment. That's why large financial companies hire people like Bob Rubin, Peter Orszag, or Bill Daley, because they need someone who can get access to those people who can squash an investigation. If you have a business worth a decent amount of money the most important priority you have is to get powerful friends and avoid powerful enemies. The massive number of laws and regulations permits a hook for many to hurt you if they want to. A better policy solution is to shrink the avenues of injustice by making the law more constrained, giving jerks fewer opportunities to hide small-minded motives behind some grand principle. A larger set of rules, especially vague ones (eg, Obamacare) simply makes the system more corrupt, because simple things like 'outlawing 20 cartridge magazines' or "mandating more (or less) lending to poor people" creates a situation where people are at the whim of politicians. Bad things happen all the time because of vice, which I think is all based in ignorance and an absence of empathy (evil is always some combination of the two). When we try to eliminate bad things via more laws and top-down policies, it just creates a more capricious and unjust world. The solution is not more laws, but fewer. One of my themes in The Missing Risk Premium is that people i people are benchmarking--aka relative utility investors--then they only deviate from the benchmark of what everyone else is doing when they feel they have an edge. There's no other reason to do so. As many people falsely believe they have an edge in highly risky (antifragile?) stocks, this causes these securities to have lower-than-average returns within bonds, stocks, options, horses, and lotteries. His abiding goal, he told me, is "to know much more about the stock I'm buying than the man who's selling does." That's a good rule, often noted by Graham. It's obviously impossible, in aggregate, but I think it's not only descriptive, but good normative advice. If you know that's the game you are playing, it should create greater caution, more sober risk-taking. The alternative is that you can take big risks and these generate return premiums via their risk premium, but alas the risk premium is usually negative, so that theory seems falsified via conventional empiricism. Antti Ilmanen and Frazzini and Pedersen have papers highlighting the poor returns to low delta options. This highlights the power of prediction markets, in that since Alpert and Raiffa (the working paper is dated 1969) we have know that people over estimate their confidence for 1 and 99% probabilities: these are more like 10 and 90%, respectively. Yet, these are surveys. When people put money down on these improbably (or highly probable) events, the estimates are actually too timid. Paddy Power is also offering a fairly skimpy 1/1000 that the sun will rise on the 22nd. Other betting sites offer only 500:1 odds. So, when someone says 'everyone thought' or 'no one thought', don't think this implies there was easy money. Even if the odds are as great as the absence of an apocalypse, you'll get something more like 500:1 with real money. Needless to say, this materially affects the expected value. 2 + zebra ÷ glockenspiel = homeopathy works! 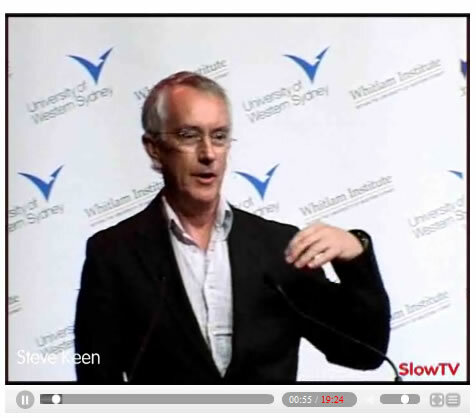 Steve Keen was recommended, and I looked him up. 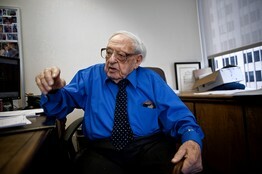 Interestingly he's a huge Minsky fan. I admire Minsky, because he was intellectually honest and curious, and had some really good insights. 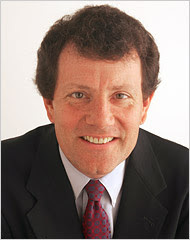 If you read his books you'll learn a lot about US macro history from a financial perspective. However, he wasn't perfect. He dismissed microeconomics as apologetics, and so basically ceded that whole field as irrelevant. He didn't try to convince his colleagues, rather, he would dismiss them as fools, and so they would dismiss him. He was forever anticipating another 1929 crash, and would get very excited if the Dow was down a lot intraday (alas, back in the 1980's it would always bounce back). His macro model he failed to concisely formulate, not just in a model, but even in words. Minsky should have said his theory was based on endogenous instability from excessive leverage, and then one could have tested it, and found it doesn't work: aggregate leverage is not a great leading economic indicator. I too believe the economy is endogenously unstable. That is, unlike Friedman and other free-marketers who believe recessions are caused by government, I think it usually happens simply via systematic errors among private investors. But unlike Minsky, I think it's more micro-based, happening idiosyncratically in a different subsector of the economy. It's more like an eco-system of Batesian mimicry, where over time mimics fester and create a phase shift in the system as predators learn that, eg, all those poisonous snakes are actually non-poisonous, and a havoc occurs until equilibrium is restored. The key is that the excesses occur in different industries, using different metrics, every cycle. Off the top of my head, here are the focal points for some big recessions; railroads (1893), conglomerates (1969), oil and real estate (1990), internet (2002), residential real estate (2008). What's consistent is that they are all different. Every cycle is predicated on some new 'new thing' that survived the prior two or more recessions, and thus to most participants is their entire working life. Like Minsky, Keen was predicting a crash, and so when one happened, he took credit, just like others (Roubini) with a vague, persistent prediction of a crash whose reputations were burnished by the 2008 crisis. 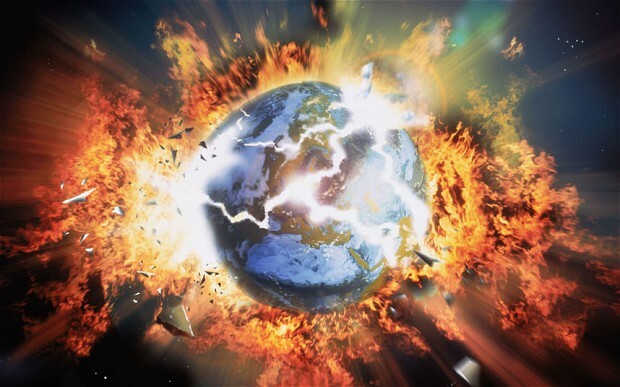 It makes me think that if something unpredictable happens, like the Mayans really do come back this Friday, those who predicted it won't be prescient, but rather, cranks. In an case, reading Keen I see he picks up Minsky's dismissal of modern economics. However, Keen takes this to the next level by saying that economics is based on a math error. Now, economists I think have made a mistake, but they are pretty good at working from assumptions to conclusions, that's brute force logic, and there are lots of really smart economists who can solve logic puzzles. He seems fixated on the market power of firms that are small, not infinitesimal He thinks they act like monopolists, showing a math error at the root of Samuelsonian neo-classical economics. It reminds me of that guy who thinks fat tails or stochastic parameters invalidates financial theory. This is simply wrong, but as a rhetorical device I think it convinces a lot of people that he's proved the existing theory is wrong, thus in some way proved his alternative is correct (not that this is logical, just it seems to work on many readers). He then builds up a pretty standard 1970's macro model to show how money is endogenous and whips us through cycles, as if this wasn't tried for a generation and failed. These models have so many equations and parameters one can't prove them wrong, but then, they don't have unambiguous predictions, just fit the past really well. Thousands have wasted their lives on these approaches. A good way to judge a jumble is to look at the results: what to do? His solution to current problems is to simply print money and pay off everyone's debt. Such a solution doesn't deserve much consideration, because when I have time to think of wacky theories, I prefer Ancient Alien Astronauts or stories of the Mayan Apocalypse. Like other successful cranks, Keen does seem intelligent, and makes some very good points. But net net, his Weltanschauung has more flaws than what he's criticizing. It's easy to note that existing theory is deficient, much harder to present a coherent, more attractive alternative. It reminds me of a high school class I took where we all got to give a speech criticizing some great thinker of the past, like Socrates, Nietzsche, or Kant. We all did great. Then, we had to present our own new theory on something important, and it was pretty humiliating. Lesson learned. I hasten to add I don't hate all macro critics. For example, I really enjoyed Peter Schiff's The Real Crash. And of course, I think I have a rather pointed criticism of finance that doesn't throw the baby out with the bathwater, and has clear empirical implications. But, I realize I am lumped in with the numerous other critics, and that's kind of depressing. Watching the media's anticipation of Obama's press conference after the tragic school shooting in Connecticut, I was reminded of the great book The Cult of the Presidency by Gene Healy, where he notes the president is now expected to be, among many other things, the Consoler in Chief, our national chaplain in times of great tragedies. The President originally was someone who would simply officiate the congress, which was the main body for enacting legislation. Just as the senate in the Roman Republic ruled, so the founders wanted the congress to rule the country. Early Presidents didn't propose bold legislation or even really campaign. It is now the President’s job to grow the economy, teach our children, provide protection from terrorist threats, and rescue Americans from spiritual malaise. It's an impossible job, yet as our dissatisfaction with the President increases, the amount of power he wields grows. We are morphing towards an emperor, a Putin. William Hazlit wrote in 1819 that "Man is a toad-eating animal [ie, a toady], naturally a worshipper of idols and a lover of kings." He saw behind this impulse a crave desire to dominate others, even if only vicariously. "Each individual would (were it in his power) be a a king, a God; but as he cannot, the next best thing is to see this reflex image of his self-love, the darling passion of his breast, realized, embodied out of himself in the first object he can lay his hands on for the purpose." A trolley has lost its brakes, and is about to crash into 5 workers at the end of the track. You find that you just happen to be standing next to a side track that veers into a sand pit, potentially providing safety for the trolley's five passengers. However, along this offshoot of track leading to the sandpit stands a man who is totally unaware of the trolley's problem and the action you're considering. There's no time to warn him. 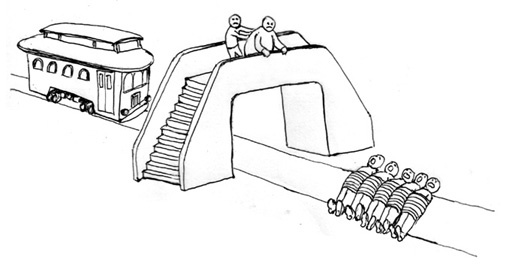 So by pulling the lever and guiding the trolley to safety, you'll save the five passengers but you'll kill the man. Most people would not push the fat man. 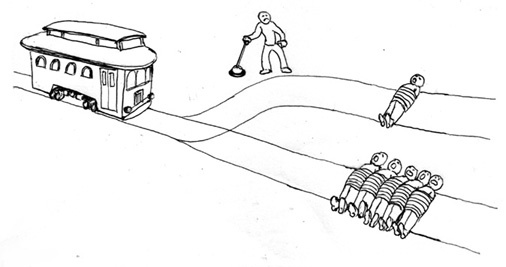 These grave dilemmas constitute the trolley problem, a moral paradox first posed by Phillipa Foot in her 1967 paper, "Abortion and the Doctrine of Double Effect." I don't really like any of the popular resolutions as to why people think it's OK to kill the first guy but not the second. I think a good resolution is that in the second case there is a significant probability that one does not save the 5 men, and instead merely kills the fat man. I've never pushed a fat man in front of a trolley, but I suspect most would simply run right over him and keep going. In the first case, if you killed the one man you definitely save the five men, it's not possible to kill both the one man and the five men by switching tracks. In the other case the probability is clearly less than 1, perhaps only 0.1. That's the difference. As a rule, acting on a theory and killing x people with certainty to perhaps save 5x people is morally wrong, mainly because these theories are often wrong, so all you do is kill x people (eg, a lot of evil is legitimized as breaking eggs to make an omelette, but then there's no omelette). The move from certainty to mere 'highly likely in my judgment' is huge. 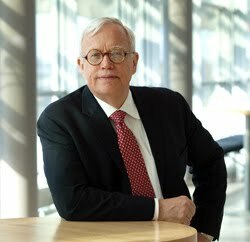 James Heckman won a Nobel Prize for his work on econometrics, statistics applied to economics. His latest work on education looks at the effects of programs on human capital. Charles Murray mischaracterizes the quality of the evidence on the effectiveness of early childhood programs. In doing so he suggests that my evidence is highly selective. The effects reported for the programs I discuss survive batteries of rigorous testing procedures. They are conducted by independent analysts who did not perform or design the original experiments. The fact that samples are small works against finding any effects for the programs, much less the statistically significant and substantial effects that have been found. A small sample will have more trouble demonstrating statistically significant results--it has low 'power'--so Heckman is technically correct. But it's not as if these two programs were the only ones generated since 1962; these are really order statistics, not simple statistics. I see job seekers with fabulous backtests all the time, and cherry picking winning algorithms applied to a large class of rules is the most common problem. As Einstein noted, "common sense is nothing more than a deposit of prejudices laid down in the mind before you reach eighteen." That a great econometrician could dismiss the clear selection bias in a couple of 60-kid studies selected out of hundreds (thousands?) highlights that no amount of education or intelligence can overcome one's prejudices, or overcome one's common sense. A Business Insider post showed the remarkable 98% decline in the RENIXX since 2008, and index that tracks the world´s 30 largest companies in the renewable energy industry. I found a green ETF, GEX,which is Market Vectors Global Alternative Energy fund. It's down about 85% since 2008. Perhaps there's a very simple strategy here. It has echoes of old-fashioned Marxism — which shouldn’t be a reason to ignore facts, but too often is. His insinuation is we are ignoring the rise of the robot elite because of anti-Marxist ideology. I'm an anti-Marxist ideologue because I think Marxism is wrong: it's based on false assumption about value (ignores the marginal revolution) and the omnipresence and importance of class war, and doesn't work empirically (socialism starting in the most productive states, the falling rate of profit, lower wages over time, an increase in the breadth of recessions). Big bad ideas like socialism never die. The desire to expropriate the rich and make all businessmen kowtow to government really drives people like Krugman, and the class struggle paradigm, where the captains of industry are parasites and the proles are Job-like in their devotion and suffering, is very attractive to these people. A recent Gallup poll found 53% of Democrats had 'favorable' views on socialism, and Peter Schiff found many Democrats who favored a ban on corporate profits. In 1977 Ed Miller proposed a simple model where greater dispersion in in beliefs generated a greater price for stocks because those holders of a stock are in the 95th percentile of valuation, and given a constant mean, a higher variance implies a higher 95th percentile. Key to this model is the short sales constraint, because otherwise sellers would see these assets as overpriced and short them. Another key is limited rationality, because people should simply not include high beta assets in their portfolio; the market portfolio is dominated by one that excludes high volatility assets. Harrison Hong and David Sraer have a new version of their Speculative Betas paper (see here). It is basically the Miller model though it's more dynamic, and they emphasize the 'new' finding that their model shows that when there is greater disagreement, there will be a greater low volatility premium. I don't think that's really new, in that it follows pretty straightforwardly from the Milller model. It's an alternative to the 'constrained leverage' model of Frazzini and Pederson. However, like Frazzini and Pederson I don't see how it's consistent with the below average returns. Lower than CAPM is different than lower than average. Further, it requires irrationality by those who don't have opinions on stocks, because it seems obvious that investors without a view should simply avoid high volatility stocks in their index funds. 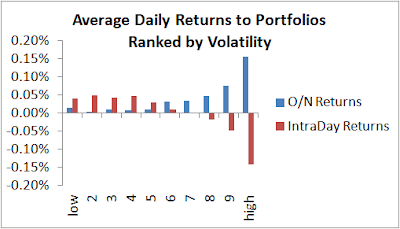 Thus, in both these models, low volatility investing should be much more popular than it is. I think low volatility investing is a fringe strategy still because of tracking error, the fact that one underperforms 'the market' too much too often. Sure, over time it's a higher Sharpe ratio, but the real objective is a relative return, or an Information Ratio. This is an equilibrium, requiring no ad hoc constraints or massive irrationality if one presumes a relative status utility function, as I propose in my book The Missing Risk Premium. When I documented the low return to highly volatile stocks, the main reason professors found it unconvincing was because it implied irrationality. I didn't think of the relative utility solution, and that basically only leaves theories with ad hoc constraints and massive irrationality. That was certain irrelevance circa 1993, but after 20 years several trends in the zeitgeist have changed a lot, in large part due to the increase in behavioral finance, Freakonomics, and the simple persistence of the low volatility cross-sectional fact. But I guess I have the intellectual equivalent of Stockholm syndrome, as the irrationality obstacle was simply burned into my brain. I don't like results that imply massive arbitrage to this day. According to the wonderful principle that one should use people’s stupidity to have fun, I invited my friend Raphael Douady to collaborate in expressing this simple idea using the most opaque mathematical derivations, with incomprehensible theorems that would take half a day (for a professional) to understand ... Remarkably—as has been shown—if you can say something straightforward in a complicated manner with complex theorems, even if there is no large gain in rigor from these complicated equations, people take the idea very seriously. We got nothing but positive reactions, and we were now told that this simple detection heuristic was “intelligent” (by the same people who had found it trivial). I presume this refers to his SSRN paper, Mathematical Definition, Mapping, and Detection of (Anti)Fragility. It contains a lot of unnecessarily complex notation, technically correct and totally meaningless. He basically defines anti-fragility as the difference between the expected value of a function and a function of an expected value over some arbitrary range of that function, and notes that nonlinear functions are more volatile than linear functions, and you want to be long convex payouts. 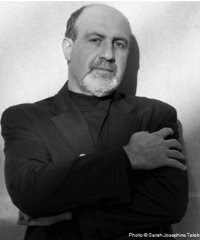 Taleb doesn't present any data suggesting it is useful for pricing or managing risk, just mentions some really simple examples (stress tests for where unemployment is 8% and 9% that are typical guesses of macro) that highlight how losses can increase exponentially for different assumptions. For complex systems like large corporations, assessing the effect of macro inputs is a similarly vague exercise if you've ever been witness to them (to get a sense, ask yourself what your net worth would be if GDP fell by 5% or 10%). So, the 'data' showing his equations are helpful are stress-test thought experiments, but this supposedly dominates this same test as well as everything else. Further, it does require density functions for the inputs, and functional forms, subjective thresholds, which for anything like a corporation is simply not amenable to such precision; for specific assets or portfolios there are more direct tools (eg, in options, kurtosis, twist, rho). Like so many things he says, this is not even wrong. He tried to intimidate a journalist at FTAlphaville with this, and the journalist basically said 'whatever.' The paper was presumably accepted by Quantitative Finance, a journal where Taleb often publishes and seems highly favorable towards his work. This seems identical to the infamous hoax by Alan Sokal, a physics professor who submitted an intentionally meaningless article to Social Text, an academic journal of postmodern cultural studies. However, Sokal was mocking the journal and its readers by publishing self-acknowledged gibberish. Taleb's mocking his biggest fans ('stupid', he calls them). I bet the journal editor won't find this very amusing. By admitting that his models are merely "expressing [a] simple idea using the most opaque mathematical derivations, with incomprehensible theorems that would take half a day (for a professional) to understand", he's admitting his math does not add, it's merely to impress via excessive abstruseness. Surely many academics have created excessively technical articles reluctantly, but this shows real bad faith on his part, because presumably this journal aspires to apply rigor in pursuit of making ideas as clear as possible, not the opposite. I must admit it's kind of funny, but perhaps too mean. This one is a bit too cute for me. The CBOE LOVOL Index combines a portfolio of SP 500 stocks and simultaneously selling SPX calls and buying one-month VIX 30-delta calls on a monthly basis. The LOVOL mix of VIX and SPX options reduces the chance of shortfalls below -10% but still preserves the bulk of market gains. By construction, the LOVOL delivers returns between the BXM and VXTH, or a risk profile between a cushion and a tail hedge. 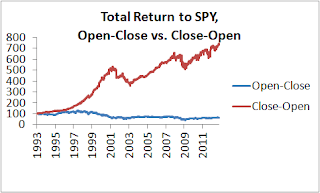 The key seems to be reflected in the following total return chart above, where you have the new index in orange, the SPY in white. The low vol index generated a lower downturn in the 2008 recession. 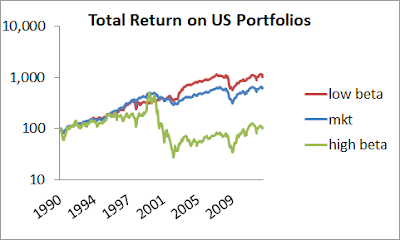 Alas, these are indices created post-2008, so they overstate the benefits (backtest always look better than real-time). Further, the benefits are pretty small, just in really big downturns...perhaps. Frazzini and Pedersen, the duo behind AQR's Betting Against Beta theory behind the low vol anomaly, have a new paper out on embedded leverage. Their theory is basically that investors are constrained in their allocation to equities, so overload on those equities with the highest betas in order to get more equity exposure. 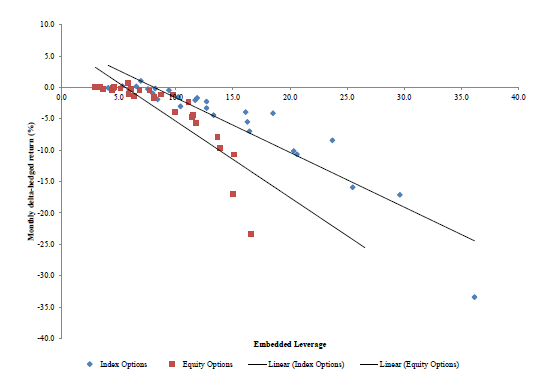 The paper looks at both levered ETFs, and options (from 1996-2010). Here's a graph showing the embedded leveage (aka omega) in options, and monthly returns. I don't really see how this comports with their theory, however, because if investors want more access to the equity factor, they are getting extremely negative returns. Thus, it really isn't a rational theory of constrained optimization, but delusional speculation. Further, investors are acting the same to puts and calls, and constraints on access to short positions doesn't seem to make sense in their model unless they have heterogeneous (and persistently wrong) beliefs. So, the idea that rational, constrained, investors explains this effect doesn't make any sense. Perhaps they can explain. 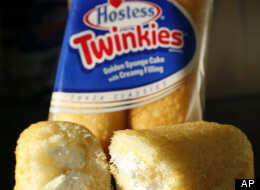 I drove home listening to a left-wing talk radio show that focused on the $1.8MM in bonuses that Hostess Brands is using to retain 19 executives during its wind down. They thought this was pure evil and unfair. Hostess has hundreds of millions of dollars in assets, so this is at most 0.5% of the value of the firm. For a top guy to get an extra $100k to do this correctly seems cheap. It reminds me of a case where after a blow up in the convertible bonds space around 2006, the firm decided to wind the fund down. They told employees there would be no bonuses, just wind down, and leave. So one guy sold his portfolio at bargain basement prices to his favorite brokers. He then had lots of credit in the favor bank, and was able to land a great job at a new firm, which since then has done very well. Another fun story is when Niederhoffer blew up in 1997. As the fund was being liquidated, the agent for the liquidation with no skin in the game went to the pit to close out a large amount of eurodollar positions. Everyone knew he was going one way, and when he asked a price, they all stopped and looked at each other, silent. Eventually he sold his positions at such a low price, it was the best day ever for at least one firm there. The liquidator did not act in the investor's best interest, but he was not incented to. When someone is in charge of a lot money, if you take away direct incentives, they will game the system indirectly. It's foolish to think people in charge liquidating hundreds of millions of dollars will do this without simply giving away stuff to people that can (and will!) be helpful to them later. Navigating the favor bank is part of life, and people act in the self interest. NYT reporter Nicholas Kristoff notes that private power generators are extremely useful given the poor quality of modern US electricity infrastructure. This governmental inefficiency leads him to the conclusion that we need more progressive taxation. In the second century BC Cato the Elder ended each of his speeches with 'And, Carthage must be destroyed'. I think liberals should simply append all their posts/articles/editorials with "and, tax the rich and spend more" via some symbol (§) just to save space. Everything they see supports this conclusion in their minds. Alas, to what end? Kristoff laments bad public schools, parks, neighborhoods, and libraries. Spending on these items, per capita, has risen over time. It seems indefensible to assert that the problem is a lack of money, given we spent half as much 50 years ago, failing districts like Los Angeles and Washington DC have some of the highest per pupil spending, I don't see how money is the problem. The main pretext for equality is that prosperous societies have less inequality, ergo, less inequality creates prosperity. It's a pretext because I think the main reason most liberals want to tax the rich more and have bureaucrats spend it is simply to bring the wealthy down a notch, why they really don't care that historically spending on education doesn't increase learning: that's not the point. I'm a libertarian, but not because I think it maximizes welfare given current capital, but because it creates more capital by motivating us to act better, which helps us in spite of ourselves. If I accepted our envious instincts as optimal I would be indifferent to efficiency, because in aggregate relative status is no different here as in Haiti. I'm glad I have the wherewithal to read and think about ideas, a luxury unaffordable for most of my ancestors, and this isn't possible because of appealing to the mob's instincts. Look at how we've decided to lessen inequality through the public schools: we don't expel troublemakers, we don't fail under-performing kids, we don't encourage specialized advanced curriculum. The result are schools teaching to the lowest common denominator, and classes distracted with behavioral issues that overwhelm any potential for learning. Any parent with the wherewithal moves to districts where such anarchy has a lower level of dysfunction, and leaves this mess for those unable to move, so these inner city schools become extremely dysfunctional. Kids at poor schools realize diplomas from such institutions don't mean anything, and drop out more frequently, lowering their ultimate human capital acquisition. The result is that while schools prioritize equality, the result is highly unequal, treating unequals the same in the school. The failure of public schools is lamented as a result of inadequate funding, which is totally orthogonal to the drivers of their poor performance. In a totally different fashion, affirmative action creates greater inequality via mismatching minorities, putting them in groups where they are underqualified, leading to greater discouragement and switching to easier majors that aren't as helpful. In healthcare, making everyone have the same 'rights' to health care inflates our health costs. Trying to ameliorate inequality via top-down directives is invariably counterproductive at the limited objective of reducing inequality. What makes private institutions excellent is that they have the right to exclude those who ruin it for everyone. They require an investment by their consumers so they don't take these things for granted, but rather respect their access. This should give those at the bottom an incentive to do well, and a place to go if they do well. In contrast, by making all their public opportunities non-exclusive regardless of behavior, everything is lessened and individuals have less incentive to become better persons to get access to these better things, and also ruin it for everyone else. My city library is way station for noisy kids, so I never hang out there. Most liberal think prioritizing equality in education, crime, and parks, is an obvious way to increase our wealth, which not coincidentally takes the rich down a notch, unaware that these same policies just make inequality not as much within schools as between them. Forcing everyone to have the same public school/library/healthcare will merely create a two tier systems and raises costs for everyone. There are lots of things we can do to help our infrastructure and public objectives right now, but they aren't nearly as popular because they don't take power away from the rich and give it to bureaucrats (eg, allow nurses to distribute penicillin, allow power plants to invest in the best technology, don't force refineries to use ethanol, give students education vouchers). The failure of past government policies is a poor reason for a larger government. An interesting fact of returns is that all of the stock returns since 1993 are from overnight returns. 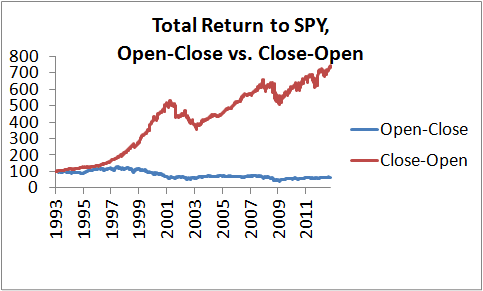 Here are the total returns using only Close-Open (overnight) vs. Open-Close (intraday). The intraday returns are basically flat over the past 20 years. That's a curiosity because 2/3 of the risk of stocks is from their intraday returns--measured by beta or volatility--so if return is compensation for risk, it doesn't seem consistent with that theory. However, there is further nuance I discovered that I haven't seen anywhere else. If you take all the tickers, the top 1000 non-etfs over the past 2 years, and rank them by prior daily volatility, and then look at their overnight returns, you see that volatility is strongly positively correlated with subsequent overnight returns, which then reverse over the next day session. So it appears that cross-sectionally, volatility receives a positive overnight risk premium, a negative intraday one. I couldn't figure out a way to make money off this, obviously. Note that if the average price in this sample is $43, making 0.15% generates 6 cents. Sounds great, but actually the returns are more concentrated for the lower-priced stocks, generating a return very close to the spread, ticker-by-ticker. While I think this pattern retains because it is too small to arbitrage, it is an interesting residual pattern. I think it is best explained by something like this: high vol stocks are targets of intraday trading. This demand is generally positive, and so what you have are returns being depressed at the end of day from day traders selling and closing their positions, returns at the beginning of the day pushed up by the day traders opening positions (generally buying). Eugene Fama states that the low volatility anomaly is really just the excess return low beta, and this has been well known for 50 years. I think its indisputable that low beta underperforms high beta, but I guess that's a fun fact of contention. It's fun to find yourself on the minority side of a fact you think other's don't agree with. His mention of 50 years can only mean that the Security Market Line (ie, relating beta to average returns) is insufficiently increasing, positive but not as much as theory suggests. That's one implication of the low volatility anomaly, but it's much worse than that. The Low Volatility anomaly targets two things Fama can't admit: the Security Market Line is negative, and the essence of low vol investing is vol, not beta. Here's the total return on three portfolios: the aggregate market, the top 1500 stocks (in market cap, non etfs, nonfinancials) with lowest beta, those with highest beta. High beta does significantly worse, and low beta significantly better, than the market as a whole. As per Low Beta being the essence of the Low Volatility Anomaly, here's the stats on monthly returns for portfolios formed via low volatility, low beta, and the market (as a comparison). On a Sharpe level, the low vol sorting produces a greater anomaly than the low beta sort, and this is highlighted by fact that the Sharpe ratio disparity persists with the below average book/market subset. In all dimensions, the volatility sort is more anomalous than the beta sort. Further, there is a return premium to low beta/vol, which simply can't be fit within the standard model. Dale Carnegie’s advice to “tell the audience what you're going to say, say it; then tell them what you've said” makes sense for a live audience. If 20% of your students aren’t following the lecture, it’s natural to repeat some of the material so that you keep the whole audience involved and following your flow. But if you repeat whenever 20% of the audience doesn’t understand something, that means that 80% of the audience hear something twice that they only needed to hear once. Highly inefficient. Little 20 minute expositions of some fundamental principle, by a teaching all-star, would seem to dominate your average professor. I hope this progresses enough so that my kids can safely skip college and learn what they need online. I'm sure there will be alternatives for them to learn social skills and form valuable cliques and like-minded aquaintences. My only beef with MR's course is the subject: developement economics. If there's one subject that defies economic analysis, it's development, as there's no consensus on what ails Africa, or Haiti. What are the odds they have something useful to say about how to make an average poor country better? Economists didn't support Konrad Adenauer when he brought West Germany out of ruin after WW2, or any other economic success story. Instead, look at the post colonial stagnation cheered on by Western elites who thought there's a 'third way'. So, someone decided to make gas free in areas affected by the big northeastern storm, but needless to say, they ran out. Connecticut, New Jersey, and New Yorkers can report price gouging at telephone numbers and websites. Chris Cristie, recent recipient of the Cato's Friedman Prize, is pursuing these cases as well. Arbitrageurs are the criminals in this drama. This is bad because people should be able to pursue their own advantage openly, frankly and honestly, as opposed to poseurs, those doing good by spending other people's money on other people, usually only temporarily because it's hard to sustain. Now, why would this instinct against arbitrageurs be so common? Consider the case where someone is offering a high price because they are taking advantage of the customer's ignorance, not because supplies are tight and the new equilibrium price is higher. That's the intuitive feel of gouging, that the bad price isn't an emergent phenomenon, but a personal one. The solution is to promote competition via entry, which exist mainly in the form of safety and fairness regulations. A system to prevent gouging might lower the prevalence gouging, but still not be as good as one where people would occasionally be gouged, but competition and high prices would allocate resources more efficiently, and the higher prices would increase supplies from less urgent uses and areas. The same could be said for all sorts of financial regulations. They only help the Goldmans of the world. The sad thing is that the primary help offered by government, regulations and rules, discourage entry and competition. This is why I am in favor of shrinking government: it is generally counterproductive. I agree with Fama on almost everything, the exception being the risk premium. Fama seems to think the Security Market Line (SML) is increasing but too flat, rather than downward sloping. The return premium to low volatility equity portfolios is a profound fact and many experts can't see, even though it's there in the data, and the returns of traded low volatility funds. A 'too flat' SML is one thing, a negative one, quite another. One implies tweaks, the other, a paradigm shift. Obama won, stocks opened down, Gold is up, and Treasuries are up. Not bad advice. Ideally, politics is about coming up with a set of understood compromises on issues trading off redistribution and efficiency. As most people have instincts on the long run effects of their favored policies but no definitive proof, people tend to be get very frustrated and emotional discussing these issues because we don't like arguing about things we believe but can't prove. I believe a smaller scale and scope of government would increase welfare, but alas my proof does not fit in a blog post (sort of like Fermat's last theorem). National politics is about convincing the demographic that votes for American Idol to agree with you. When I used to teach at Northwestern University I occasionally asked what students thought about popular topics like 'free trade' or 'market efficiency'. Their opinions were so poorly articulated and founded, I stopped doing that. It did not help to have people riff on subjects they really didn't understand, the errors were so numerous and fundamental it simply was a waste of time. I realized then that gaining their support would either rely on authority--believe me because I have these credentials--or slick salesmanship. Both methods are not good at converging upon truth. In the end I tried to explain some fundamental ideas showing why, given certain assumptions, one could think something was optimal, so the best case scenario was not definitive anyway. In this environment it's sad that the great unwashed directly elect a person with the power to make decisions over whether we should spend another $800B, or choose judges for their biases (given smart lawyers, is not hard to do for almost any bias). This is not a wise way to make policy. Unfortunately, alternatives aren't obvious, and certainly not popular. For example, something akin to a literacy test would enhance our voting competence, but would statistically discriminate against certain groups, and I'm doubtful it would be more enlightened anyway. The old belief of J.S. Mill that if we merely educated everyone we would agree and choose wise policies is clearly wrong. It's a paradox that pure democracy leads to more concentrated power, something known by Plato and the US founding fathers. As collectives get larger--the USA, Roman Republic, Galactic Senate--power gets more concentrated in the President or Emperor. I think this is because when a state is small, an aristocracy/oligarchy is concentrated enough to work, but it doesn't scale. At a certain point the aristocracy is fragmented but the titular head retains his power, which is then amplified by his new relative strength, making the legislative branch a veto at best, a patronage machine at worst. The House and Senate remain more powerful than the President, but they seem to lose stature every decade. But most importantly for this day, voting in big elections does not matter at all. Consider you live in Florida, which decides the presidential election. You cast the deciding vote, your candidate winning by 1 vote. In such a case, the stakes are so high that very good lawyers would be called in, and the better or more powerful lawyers would find the definition of what constitutes a legitimate vote such that your decisive vote would be irrelevant. That is, lawyers can use one of several metrics of voting, some of which will show their candidate winning, some losing, for any close election (just like polls generate different results depending on demographics). That's what happened in Minnesota, where the Republican was winning the senate race by 700 hundred votes, but the much stronger Democratic party in this state had a much more vigorous counsel helping them 'recount' the votes, and eventually they counted more for their Democrat. 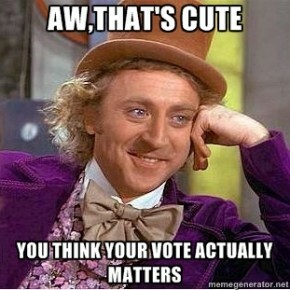 In the improbable case your vote matters, it will be the lawyers and not an individual vote that makes the difference. So no vote matters. QED.